Hi ladies ! 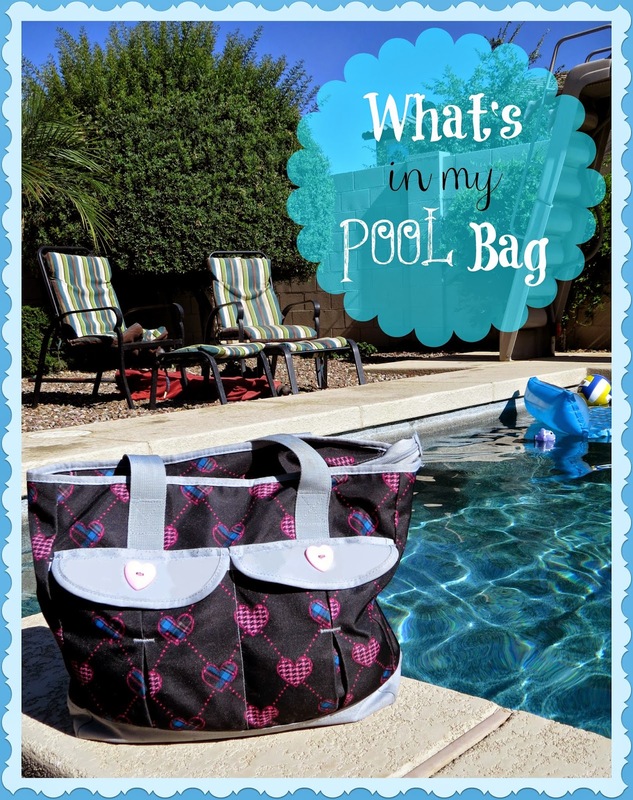 Today I am sharing with you what exactly is in my pool bag ! Be sure to watch my What's in my pool bag Video to see ALL of the contents of my bag. 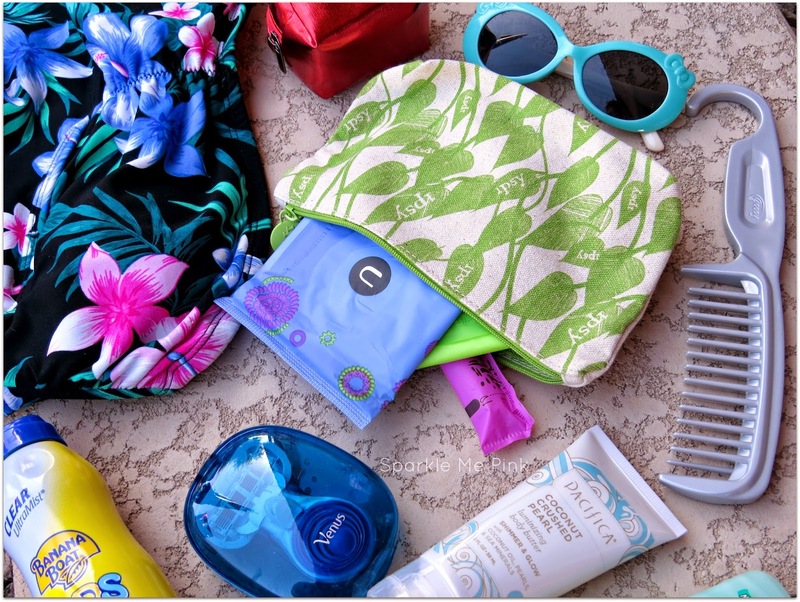 Here are the key essentials every girl needs to have in their Beach / Pool Bag ! I can't believe I didn't mention this in my video DUH !! my self and the kids in my pool bag that stay in my pool bag. Capture Core.) Jump on the bandwagon with me and request a U by Kotex FREE Sample over here. Because my daughter and my hair can get a little cray cray when it gets wet ! my #InASnap Review over here. Comment below and tell me ... What essentials do you carry in your pool / beach bag ? Don't forget to head on over here to request your FREE sample of the New U By Kotex pads with 3D Capture Core. 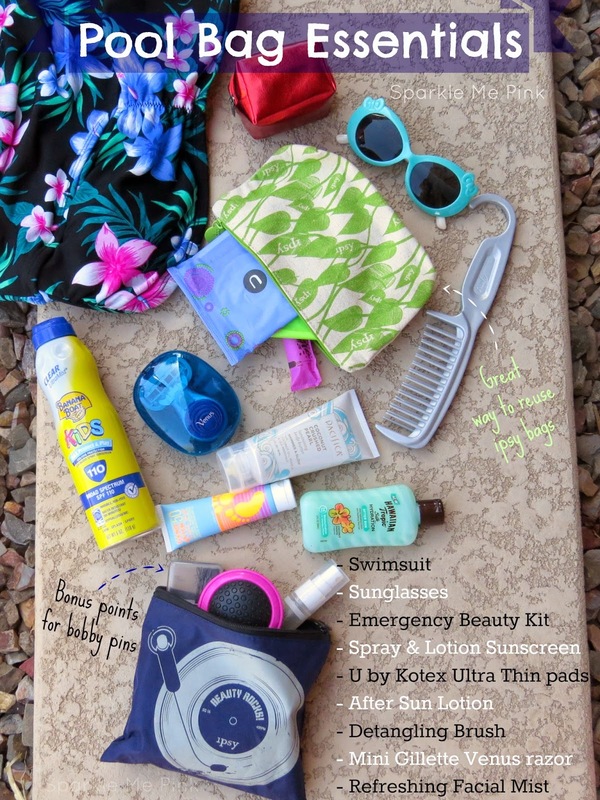 I'm loving your pool bag essentials! I'm loving that little razor carrying case, zomg cute!! Cute bag!! Love your must-haves! ooh the facial mist sounds nice hunn! Great essentials for your pool bag! My beach bag pretty much has the same things, except I usually include extra clothes and swim diapers for the kids! I am loving the new mini Gillette razor too, it's adorable! I love how you make use of your ipsy bags! This is a great guide and I need to take notes so that I can pick up a few of these to include in my pool bag! I never would have thought to include more than half of the items in my beach bag than what you have included. I've heard great things about Ipsy and seeing your video prompted me to start with it. That powder needs the boot. Anything over a year old needs the boot! and anything that touches your eyes goes out at 6 months. They can cause infections. :D Have fun in the water! I am in LOVE with that new thirty one bag you have in your video!! Need it! Great list! I just realized that I've never had a pool/beach bag.I think it's about time I get one. Loved everything in your bag, really great ideas, helped a ton!